The Islanders are starting to run out of time to make a move in the playoff hunt, but if there was a time to make a move, it would be now. The Islanders can thank these three stars, that are not named John Tavares, for the late season push. 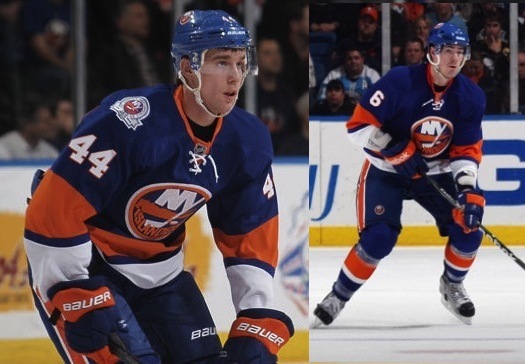 Islanders defensemen have scored a total of 13 goals this season. 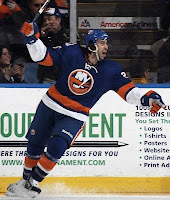 That is not a good mark by any means, but when the Isles have to have a goal, don't be suprised if it is a d-man putting the puck in the twine. 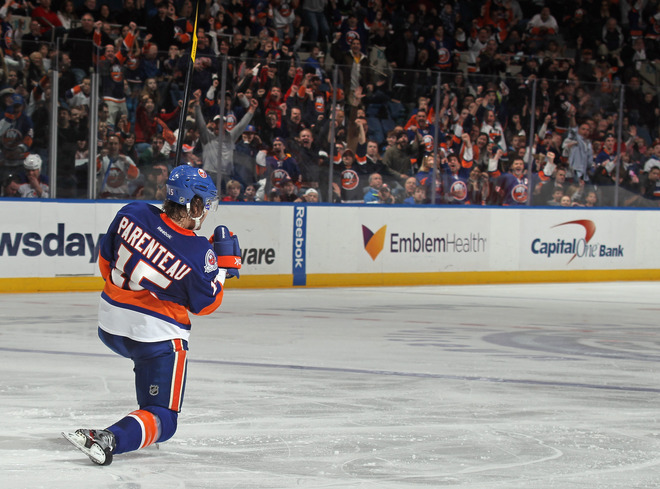 In the past few weeks, the Isles won two games in overtime thanks to the defensemen. The first OT winner was scored by the least likely culprit on the Islanders, Mark Eaton. But why would he not score? It was only his 600th NHL game and he was heading down the ice with Milan Jurcina, another unlikely culprit. The second OT winner was scored by none other than the captain, Mark Streit, and his goal was a beauty. He went right through the entire Los Angeles Kings team and buried a backhander past Matt Moulson's brother in law, Jonathan Quick. 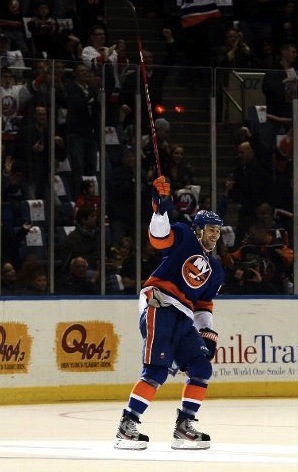 He also did it on a day the Islanders were honoring a defenseman, Kenny Jonsson. Over the past couple weeks, PA Parenteau has showed everybody that he deserves a raise from the 1.25 million bucks he is making this season. He has scored goals at timely moments. He has also been the guy to make the perfect pass to set up a goal. He is currently 6th in the entire NHL with 42 assists, and even when he was moved off of the John Tavares line, he continued to produce. 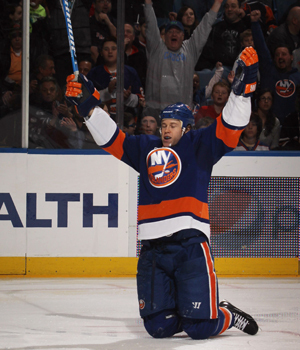 When Parenteau heads into free agency this summer, the Isles need to make it their number one priority to resign him for next season. 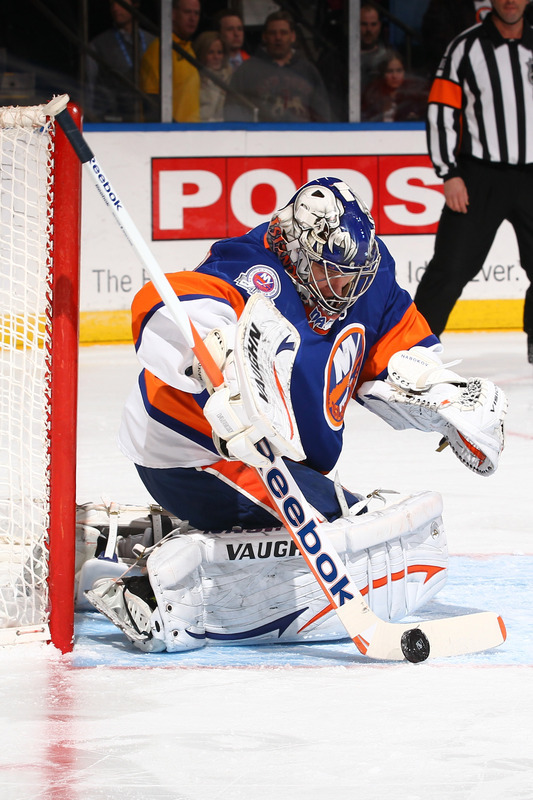 Let's face it, Evgeni Nabokov has been the Islanders best player over the past month or so. He single-handedly won a game that the Islanders had no business winning, making 45 saves in Philadelphia through overtime, then making two more in the shootout to somehow give the Islanders a 1-0 win. When games have gone past regulation this year, Nabokov hasn't lost. 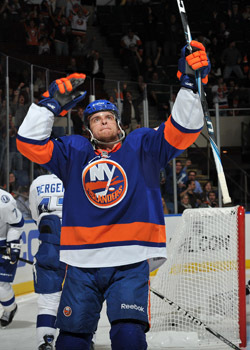 He has provided something the Islanders have lacked over the past few seasons, stability in net. 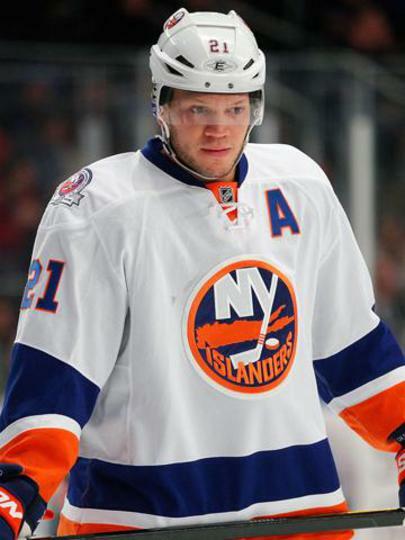 There are talks that the Islanders might trade him, but then they would be giving up on this season. 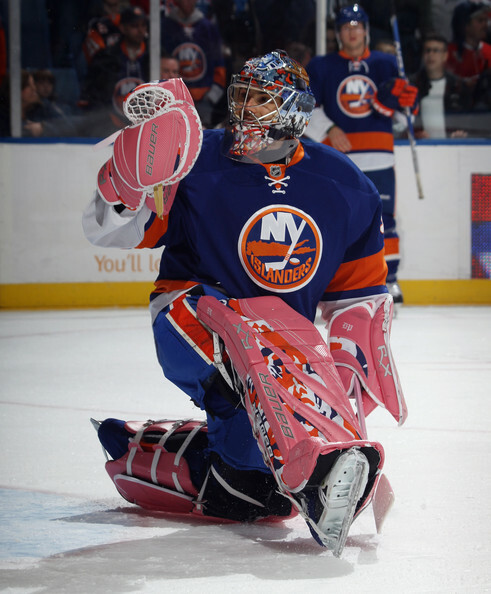 Garth Snow needs to make a significant effort to re-sign Nabokov for next season because Al Montoya has been shakey and Rick DiPietro is well....Rick DiPietro. Nabokov's 15-14-0 record so far this season is solid, especially since he missed a few weeks earlier in the season with an injury. 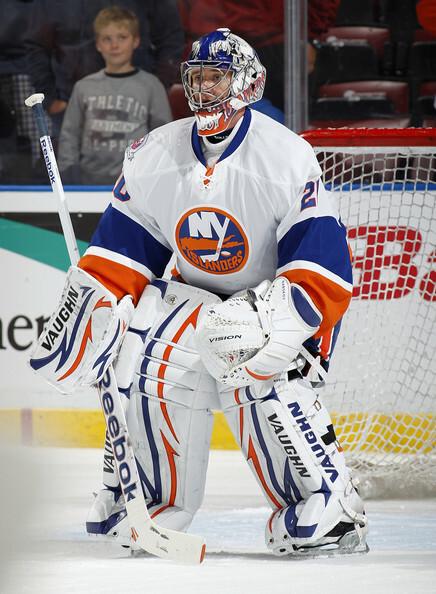 If Nabokov leaves, then the Islanders will have no goalies that have any experience in big games. 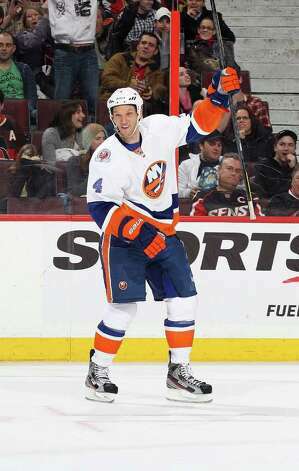 Now, I know what you are thinking, Where is John Tavares? He is not on this list because everyone in the NHL knows that he is just the best player on the team. Also, over the past few weeks, it has been these three things leading the team. The time to win is now or never for the Islanders. Will it happen? Let's watch and see. Halfway through the season the Islanders are once again at the bottom of the standings. 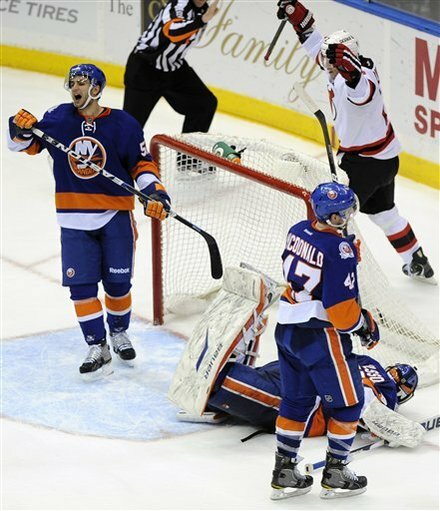 However, let's just take some time now to look at a great acheivment that was recently achieved by a great Islander. By looking at the title, I guess you know that I am talking about Evgeni Nabokov getting his 300th career win Saturday night against the Sabres. Although his stats from Saturday might not be earth-shattering, this achievement is. (He made 23 saves on 25 shots on Saturday.) Only 25 other goalies have ever accomplished that mark. It has taken Evgeni Nabokov 583 career games to reach this mark. In retrospect, Mike Richter played 666 career games and only got 301 career wins. Legendary Hall of Famer Turk Broda played 629 games, and won 302. 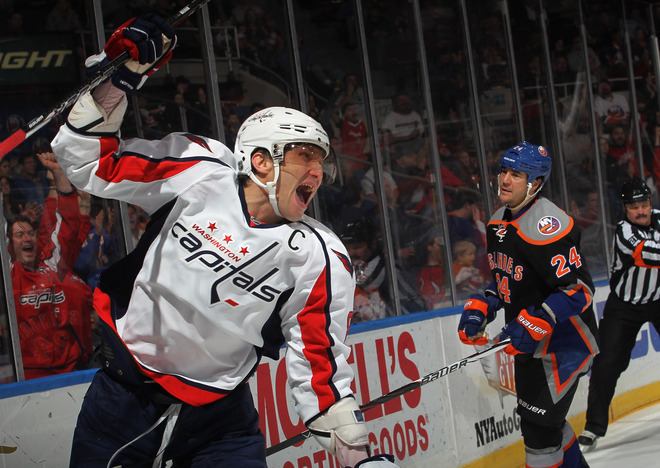 Former Washington Capital Olaf Kolzig played 719 games and only won 303. This puts Nabokov at a pace to pass all of the above goalies as well as Isles legend Billy Smith (305 Wins) by the end of the season. Doing so would put Nabby in 22nd place in the all time wins list. That is one heck of an accomplishment. It's been a long road coming. Almost 12 years ago to the day, Nabokov made his first NHL start on January 19, 2000 and matched Hall of Famer Patrick Roy shot for shot, the game ended in a 0-0 tie. 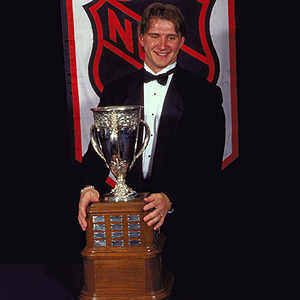 He won the Calder Memorial Trophy as Rookie of the Year in 2001. He scored a goal in 2002. In his career with the Sharks, he played in 80 playoff games, winning 40. He also played in two All-Star Games and won a Gold Medal at the 2008 World Chamiponships for Russia. Things got a little bumpy from there. After the Sharks told him he wouldn't be coming back for the 2010-11 season, Nabokov went to Russia to play in the KHL. Why? Nobody in the NHL wanted him. Four months into that contract, it was terminated by mutual consent between him and the KHL club. 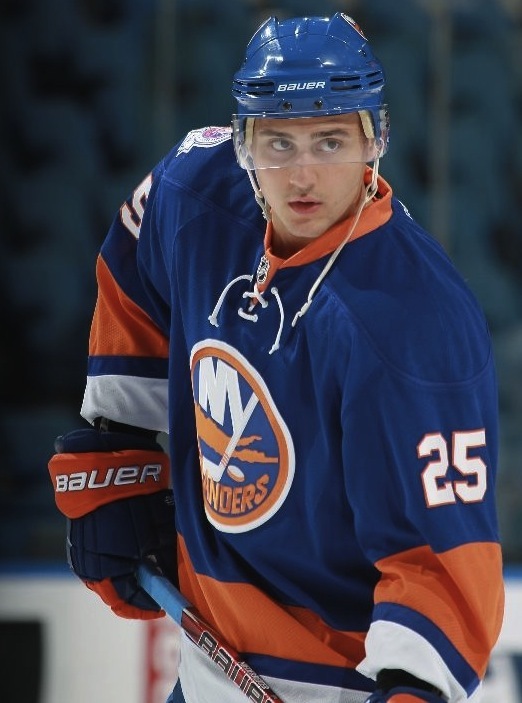 We all know what hppened when the Isles claimed him on re-entry waivers from Detroit last season, but now that can be considered a blessing. Although it has been a rough year for Nabby, he has had his fair share of great moments. He is making the veteran minimum at $570,000. He got injured in November, then recently came back and has started the last eleven games. All of this led to win #300. 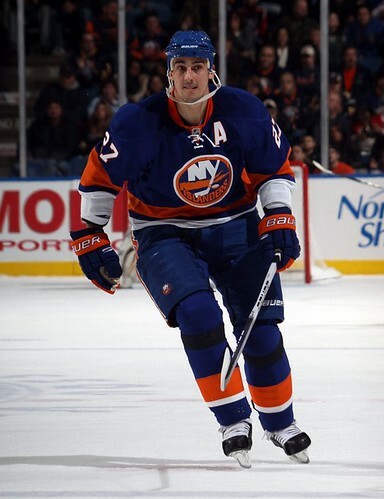 In my opinion, the Islanders need to keep playing him. 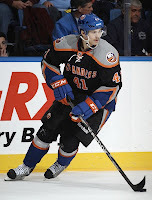 He is regaining some of the form he had when he was with the Sharks. If he stays healthy, keep him rolling. But for now, let's bask in his 300th win. Congrats Nabby! Hopefully there are many more to come down the final 40 games of the season.